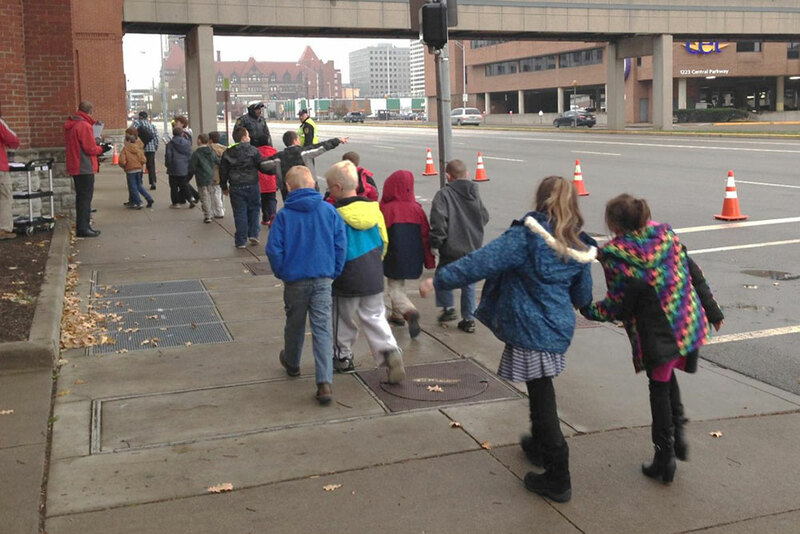 Each season more than 18,000 students from over 120 schools and groups from Southeast Indiana, Northern Kentucky and Southwest Ohio attend the CSO's Young People's Concerts; which translates to coordinating and scheduling approximately 50 school buses, street closures, managing weather complications and lots of energy from 3,500 students eager to enjoy each performance. CSO’s business needs were clear. They invited Toyota to help ensure students’ safety; reduce student dismissal time (from the first bus being dismissed after the show to the last bus leaving Music Hall) and maximize the overall experience of students and volunteers. Inch-wide, mile deep dive: reduce student dismissal time and increase patron experience while ensuring CSO patron safety. Fourth: standardized work. If a music score is the roadmap for the musical conductor and musicians, standardized work is the basis for all other Young People’s Concert components to work in unison. The CSO/TSSC team standardized the arrival and dismissal process, communicated the new process with schools and developed a visual management system for bus parking. How did the CSO optimize an already A+ performance? By reducing dismissal time from 60 minutes to 24, a 60% reduction — and producing 100% customer satisfaction. Looks like TPS found a new home –center stage– at the historic Music Hall.